"Until we recognize that the human spirit itself is the ultimate frontline of the environmental crisis, we will continue to nibble away at the edges." These programs explore the spiritual roots of our relationship with the natural world. They are designed to create new perspectives and participatory experiences that lead to a thought-provoking look at how faith influences the way we treat the natural world. Although science informs our minds about how nature works, the fate of the world lies in our hearts; in our ability to respond with caring and compassion. This program fosters an appreciation for nature as part of Creation. Through Bible stories from both the Old and New Testaments, slides, music, a puppet show and outdoor activities, children experience the beauty and sanctity of nature and explore their role as stewards in care of Earth. An excellent program for religious schools, Sunday classes, Bible camps, child care groups during worship services, and more. Note : This program can include Bible stories and lessons from either the Old Testament or the New Testament, or both. 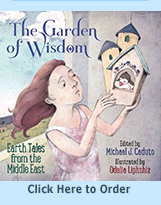 It can draw on stories and activities from one or both of Michael J. Caduto's two books: In the Beginning: Stories from Genesis and Earth Activities for Children and A Child of God: Stories of Jesus and Stewardship Activities for Children . "Making the bead necklace was great. The children come to school wearing them each day." Celebrate the spirit of generosity with songs, stories, inspirational readings and dance. Every culture and spiritual path marks the sense of community that comes from sharing with others. This program draws from the wit and wisdom of several different traditions and can be tailored to the specific interests and desires of your audience. It is a timely event to share during and around the time of winter solstice—a season when people of many different faiths hold annual festivals of light and giving. Among the religions of the world, wilderness is a source of renewal and a place to be close to the Creator. Saint John the Baptist came from the wilderness and Jesus went there to pray. Muhammad journeyed into the mountains to hear the voice of God in the stillness. Many Jewish religious celebrations are connected to gardening and the natural cycles of the seasons. Native American beliefs are synonymous with the ways of nature. Through story, song, parable, poetry and discussion, participants explore Earth stewardship from many different traditions, such as Christianity, Judaism, Islam, Hinduism and the beliefs of indigenous peoples. The presentation is designed to be lively, participatory, fun and intellectually/ethically challenging. We will briefly explore the traditional cultural and spiritual beliefs and practices through which each tradition connects people to Earth, with a focus on these living traditions as a contemporary basis for a sustainable existence with the natural world. We will examine both the common ground and sources of tension that exist between these traditions and their relevance in our personal and professional lives. 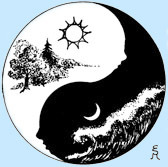 Participants are encouraged to share a brief expression of Earth stewardship from their own traditions as we search for insight into the relationship between spiritual life and the natural world. Throughout the presentation there will be plenty of time for questions and discussion. The presentation concludes with a dance that involves everyone in the Circles of Life. A popular program for religious education classes. A version of this program is often presented as part, or all, of church services. The sacredness and wonders of nature are a direct expression of God's creative powers. Post-Renaissance Christianity is often blamed for teaching a human-centered and exploitive attitude toward the environment. But the calendar of the early church revolved around ancient Judaic feasts and celebrations that are rooted in the cycles of the seasons. Today there are many exciting Christian ideas and movements that seek to rediscover the grounding of our faith in the rhythms of nature, that seek a harmonious relationship with Earth. Through a presentation, small group discussions, shared readings, and ethical awareness activities, this program explores the threads that weave together a Creation-Centered environmental ethic. We will also explore the connections between ecological stewardship and social justice. look closely at some concrete suggestions for how we can become better citizens in the Global Village. Everything we do affects our environment in some way, and we are all part of the international community.